A geographic sub-area of the County delineated by the Planning Board and adopted by the County Council in the Subdivision Staging Policy for the purpose of grow management analysis. Downcounty central business districts and Metro station policy areas (MSPAs) characterized by high-density development and the availability of premium transit service (i.e., Metrorail, MARC). What is a Metro station policy area? This area surrounding a Metro station is characterized as having high-density development and the availability of premium transit service. 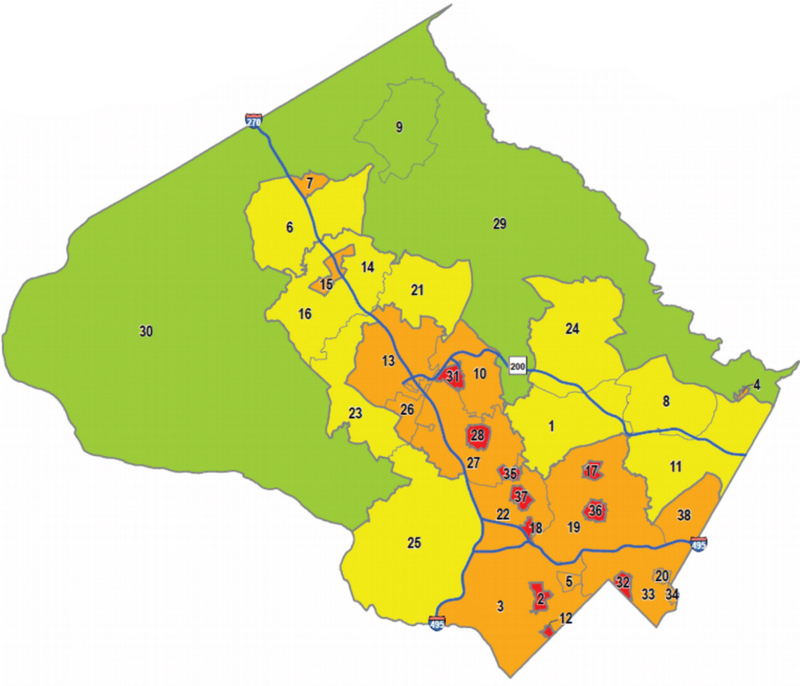 There are 10 Metro station policy areas in Montgomery County. They are used as a basis for transportation analysis and review. For each Metro Station Policy Area, the Planning Board, in consultation with the Department of Transportation, evaluates adequate safety for pedestrians and vehicles, access to buildings and sites, and traffic flow within the vicinity. Corridor cities, town centers and emerging transit-oriented development (TOD) areas where premium transit service (i.e., Corridor Cities Transitway, Purple Line, bus rapid transit) is planned. Lower density areas of the county characterized by mainly residential neighborhoods with community-serving commercial areas. The county’s Agricultural Reserve and rural areas.